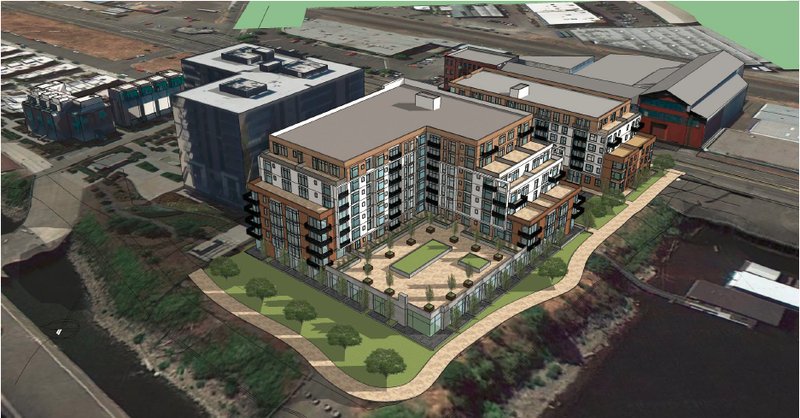 Riverscape Lot 8 includes high density residential land in downtown Portland, OR, with 2.49 acres of Waterfront Multifamily/Condo property. The property can feasibly fit a three story 95 unit building and an eight story post tension concrete 189 unit building. Located at the northern end of the River District Urban Renewal Area, this Riverscape lot offers a great residential mixed use development opportunity adjacent to the Pearl District.